The NT08 Series bolt on kit is a standard single system kit from Agmaster that features a 12mm point and 40mm closer assembly. Used for single bolt cultivator and scarifier tines, all in the 90kg to 150kg breakout range the kit weighs a total of 4.5kgs. Also available is the NT11 Series slip on kit. 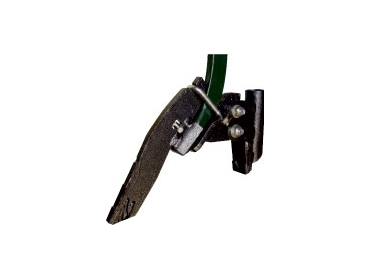 This is ideal for double bolt cultivator and chisel tines up to 350kg breakout pressure. This kit features a 16mm point with a 50mm closer assembly. The kit weighs 6.5kgs and there are other points, boots and accessories available on request. Agmaster also have a flexible boot kit which allows for branding of fertilizer and then seed delivery through a double braided flexible hose. A 35MM O.D hose is required but this is not supplied with the kit.